Area youth’s have been enjoying a state-of-the-art skate park since July 2007 by a generous donation made by Balise. The hours are 9 a.m. to dusk. 1. Skate at your own risk. This park is a non-supervised facility. 2. Only skateboards and in-line skates are allowed. Bicycles, roller-skating or wheeled devices are not permitted. 3. Helmets are highly recommended for all people who use the skate park. Other recommended protective equipment includes wrist guards, elbow pads and knee pads. 4. 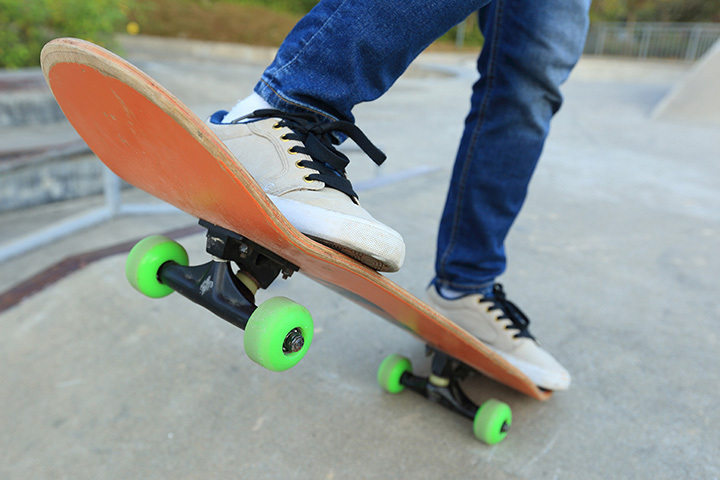 Serious injury may result from being hit by a skateboard, falling, or colliding. West Springfield does not assume responsibility for injuries. 5. This park will close at dusk. “No trespassing” ordinance will be enforced after park is closed. 6. No skating when wet or rainy. 7. No littering or graffiti. Please put trash in designated trash receptacles. 8. This park is a drug, alcohol and smoke free area. 9. Be courteous to other people using the park, and all other patrons. 10. No fighting, vulgarity or social unacceptable behavior is permitted.